The new year is barely underway, and Sir Paul McCartney is already back with new music; this time in the form of a single. The track, titled “Get Enough,” arrives only four months after his latest solo album, “Egypt Station.” “Get Enough” is co-written and produced alongside McCartney by contemporary pop-rock musicians Ryan Tedder and Zach Skelton, marking the third collaboration between McCartney and Tedder. The song reflects a drastic shift in the musical approach of the former Beatle. Although it embodies the traditional soft rock piano ballad and the expected theme of the idiosyncrasies of love and relationships that McCartney fans have come to expect, it also heavily relies upon Auto-tune. Yet it is not utilized as a means to improve McCartney’s voice, but rather to roughen, distort, and manipulate his vocals to the point of mechanical crooning. While this sudden shift in style may initially come across as bewildering and shocking, one must remember that the Beatles, especially in their later years, possess a history of sonic experimentation. In evaluating this factor, the introduction of Auto-tune in McCartney’s music can thus be seen as both a logical technical and artistic step in the career of an innovative musician. 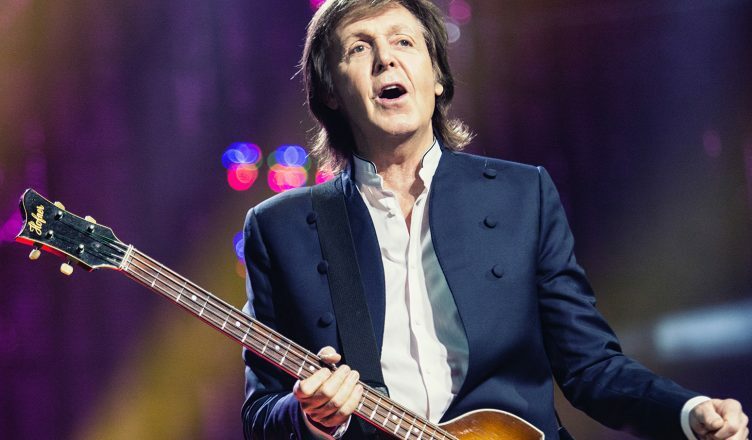 At the age of 76, it is no secret that McCartney’s voice is not what it used to be. Consequently, the audio processing software has the practical effect of masking the deficiencies within his vocals. Moreover, in the last few years, Paul McCartney has associated and collaborated with more experimental musical artists, namely Kanye West, who has made heavy use of Auto-tune in his albums, “808s & Heartbreak” and “My Beautiful Dark Twisted Fantasy.” West has a track record of influencing many of his contemporary collaborators such as Kid Cudi and Bon Iver to embrace the artificial sound of Auto-tune. In retrospect, it is unsurprising that a musician such as Paul McCartney would at least attempt to incorporate it into his discography. However, although “Get Enough” is an inventive and revolutionary track, it is not necessarily a good one. The application of Auto-tune seems erratic and choppy, as McCartney oscillates in rapid succession between his natural and synthesized voice all while engaging in varying degrees of technical pitch adjustment. This is especially prevalent in the 30 seconds after McCartney transitions into the second verse of the song after a heavily processed and distorted chorus. Here, he begins to utilize a more raw, natural voice only to immediately revert to Auto-tune just two lines later. The robotic addition to McCartney’s voice then proceeds to build up in intensity line by line and plateaus when he reaches the chorus again. These maximalist transitions, albeit interesting, are overbearing and give the impression that the song is inattentively produced. Yet, the single is not without its highlights. Near the end of the song, after the final chorus, the Auto-tune cuts out and the melody transitions into the bridge where McCartney harmonizes alongside a soft piano ballad with a faint but steady drumbeat in the background. The bridge is both pure and natural, and serves as a stark contrast to the preceding heavy robotic effects. The lyrics are also another source of commendation. Though simple and short, they are surprisingly descriptive and genuine. McCartney is able to conjure an atmosphere of romantic nostalgia and love forlorn through his continuous rhetorical questioning of the unnamed woman in the song. He also makes extensive use of imagery and metaphors to situate the listener in his memory as he reflects upon his past relationship. McCartney’s “Get Enough” is a wildly radical and bizarre track that seems to subvert much of the singer-songwriter’s foundational music. His latest single appears to indicate not only a drastic stylistic shift but also a decline in his musical production ability. The Auto-tune is excessive, distracting, and confusing. It masks the admirable qualities of the song while simultaneously accentuating its flaws. However, while this track may not be one of his greatest works, one must take into account that he possesses a verifiable record of experimentation and sometimes experiments may fail. Even the legendary Sir Paul McCartney cannot be immune to such failure.